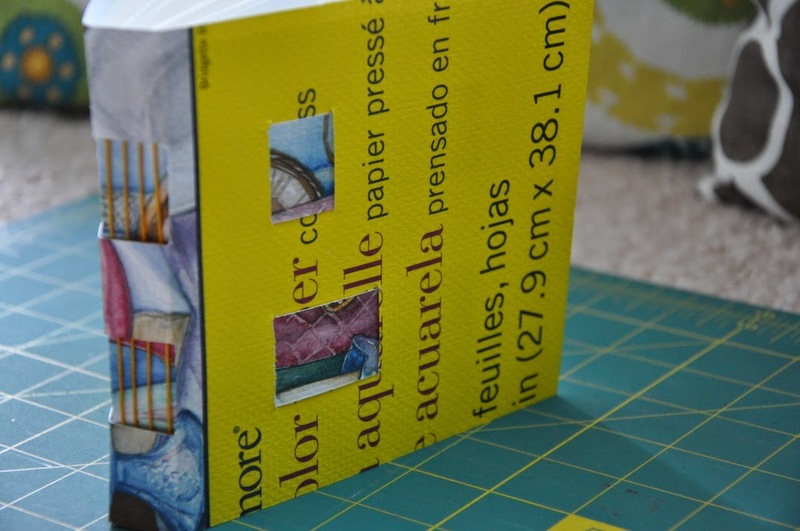 I just tried a new book binding technique called the crossed structure binding. I saw a video of an artist using this technique and she said she learned it from a book that I actually own! What a pleasant surprise. 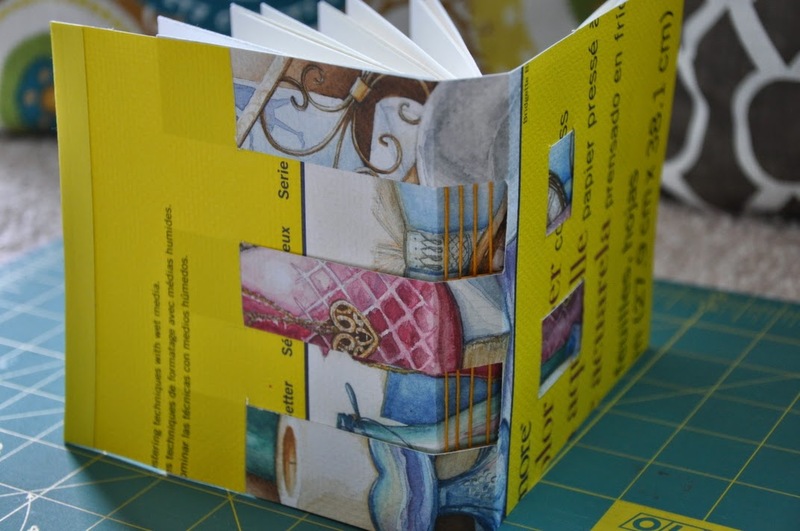 So I got the book, found the page, and made my first crossed structure binding book. 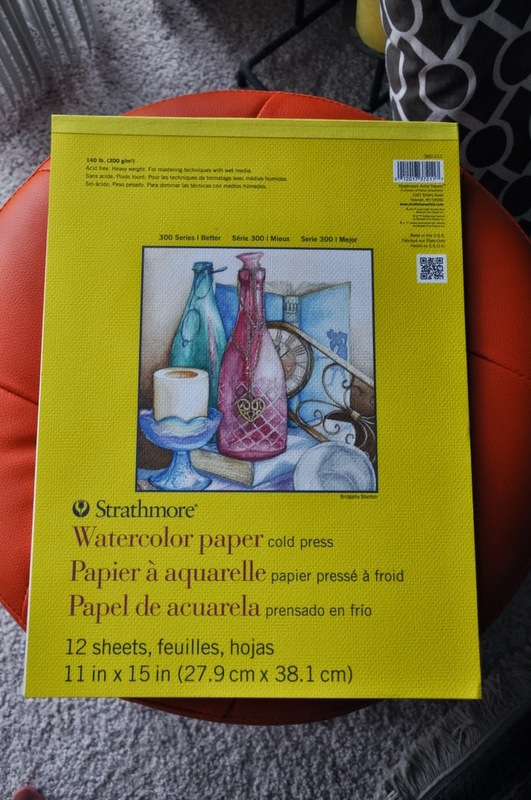 paper pad as the cover of my journal. I cut the "teeth" out of the middle third. The signatures are sewn to the 2 "teeth"
"teeth" are woven in and out of the covers. Here is the final journal. I like the new technique and plan to use it again. I will need to get a better Xacto knife, however. 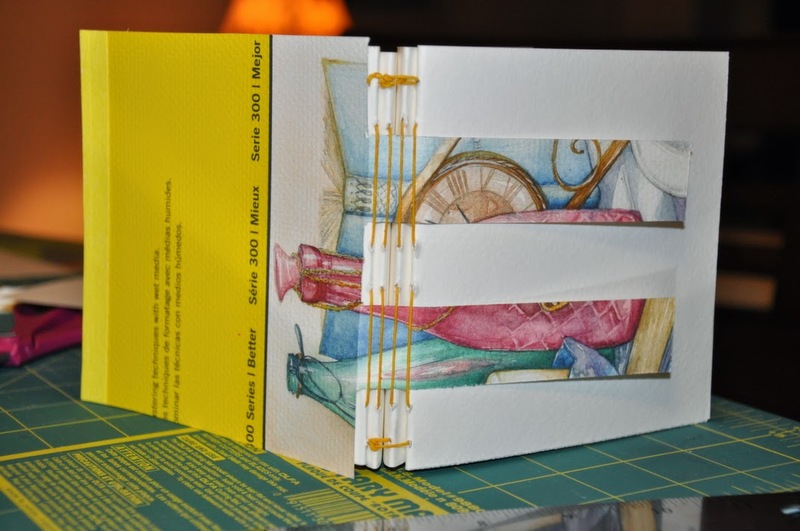 Check out Making Handmade Books by Alisa Golden for 100+ bindings. … the zero is in the center! (If you look closely you will see the zero right in the middle.) It’s a great idea, don’t you think? 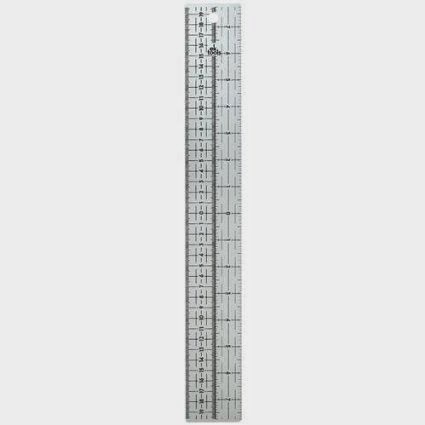 Apparently these rulers are used in quilting but I have never seen one. I looked for it at Joanne’s Fabrics, as well as Hobby Lobby and Michael's. I couldn’t find one so I decided to make one myself. 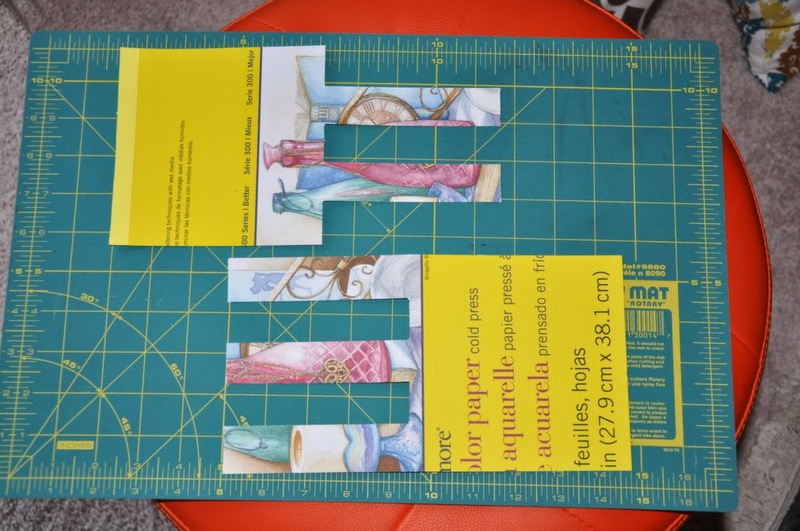 I’ve already used it many times for my book projects, especially for determining holes for binding. Could you find a use for a centering ruler? I was watching a YouTube video recently made by a book artist and she had created a book filled with silhouettes. They were so interesting that it made me want to buy whatever stencil she was using. 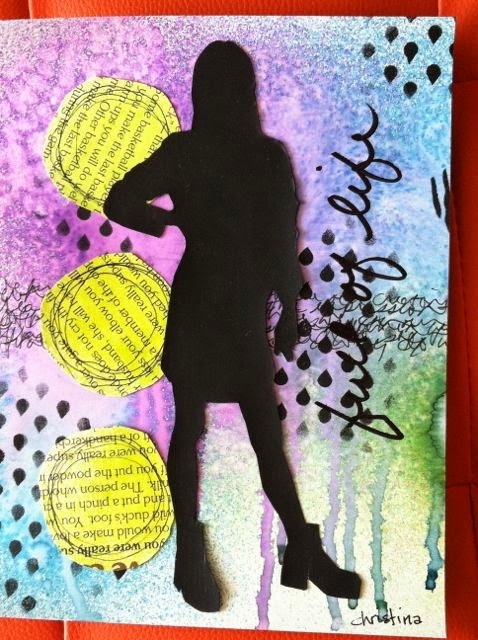 Then she explained that she had made the silhouettes using magazine pages. What a great idea! I had to try it. The process was easier than I expected. I didn’t have many magazines lying around, so I actually borrowed (acquired? stole?) 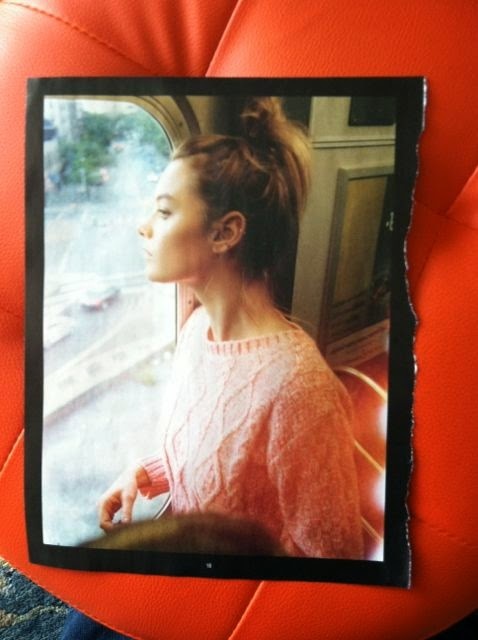 an Urban Outfitter catalog from my doctor’s office. (It was out of date, I promise.) It’s not easy to find a good picture. The technique requires a photo that is either in profile or where the arms and legs are posed away from the body in order to leave negative space. I cut the silhouette out of card stock and then painted it with black gesso. waiting to become a piece of art. 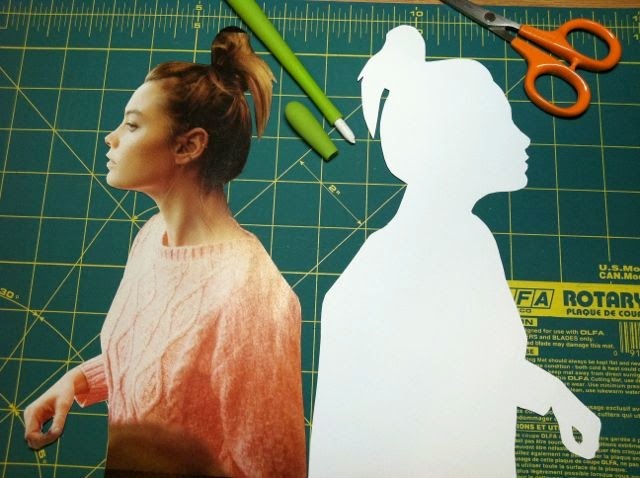 I haven't decided what to do with my second silhouette yet. I like the process, though, and I will now look for magazines filled with the right kind of pictures. I'll try not to steal any more from waiting rooms. What new ideas have you learned from watching the videos created by other artists?